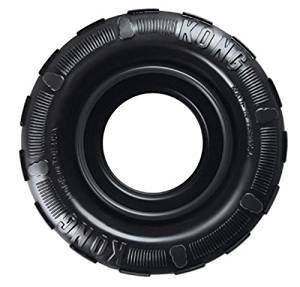 The toughest and most durable dog Tyre on the market. The perfect toy for the dog that loves to fetch and chew. 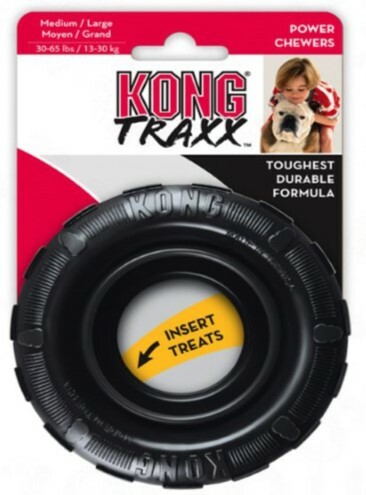 Made from KONG Extreme ultra-durable rubber, perfect for games of fetch or for that good chewing session. Please Note: This toy is not indestructible. Proper supervision is advised when playing with all toys. This toy should be regularly inspected to ensure there is no damage. If any damage is noted the toy should be discarded.